The highest security rating for maximum protection in high-crime areas. Massive 12-14 mm hex link steel chain with titanium reinforcements are almost impossible to cut or break. 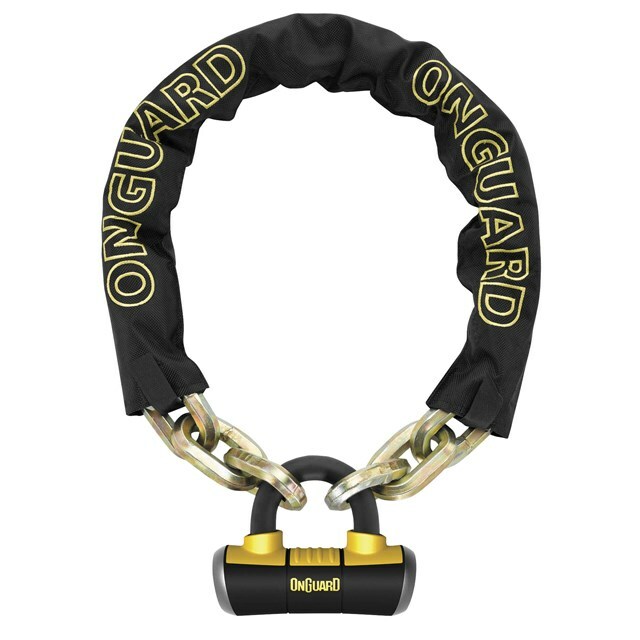 Beast locks have quatro or dual lock mechanisms featuring Dual Lockdown Protection where hardenedsteel pins engage both ends of the shackle creating a redundant locking system for added security. Locks also feature rubber end caps and vinyl coatings to protect finishes. Reinforced sleeve over crossbar and cylinder for additional security. 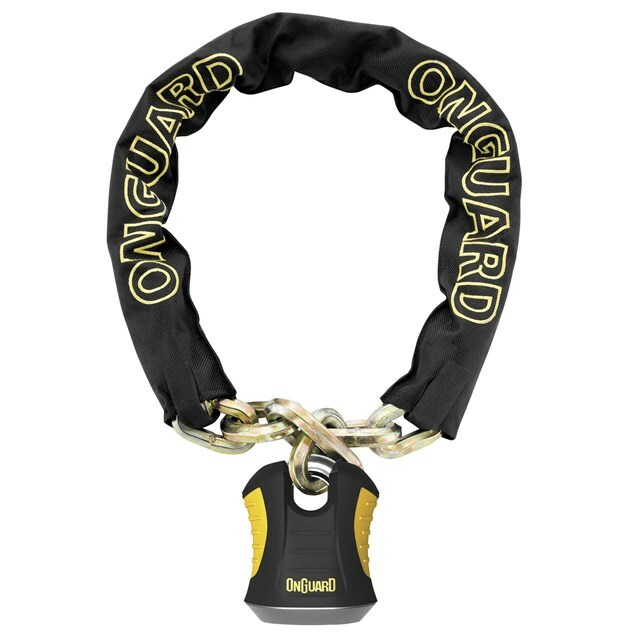 Water- and heat-resistant chain embroidered cover prevents scratching and allows compact coiling. Rotating dust cover protects cylinder. Dual or quatro lock-down deadbolt locking mechanism offers second-tonone holding power.